Since its inception in 1997, the UNODC has played an instrumental role in leading the global fight against illicit drugs and international crime. For our part, Afghanistan values the indispensible role of UNODC in supporting our efforts to eliminate the threat of narcotic drugs and other forms of organized crime. This support has been provided in various areas, including capacity building of relevant law-enforcement institutions for effective border-control management, drug-demand-reduction and provision of alternative livelihoods. Addressing the threat of narcotic drugs on the security and well-being of our society is among the top priorities of the Afghan government. 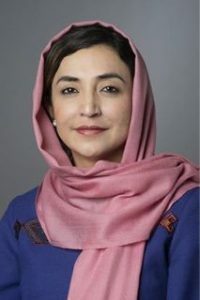 Given its global and transnational character, defeating this menace will be possible only through a concerted international and regional effort.Â The problem of narcotics is part of a complicated and sophisticated criminal network, from which the people of Afghanistan continue to suffer immensely on a daily basis. Cognizant of this threat, the Afghan government has taken a number of steps at the national, regional, and international levels for addressing this scourge.Â We are pleased to state that our efforts have yielded important results. With support and assistance from our international partners, we have succeeded in reducing poppy cultivation by 48% this year. 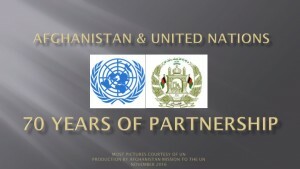 We are pleased to see this reflected in UNODCâ€™s 2010 Afghanistan Opium Survey. Additionally, through a comprehensive set of measures, which include strengthened law-enforcement, agricultural development, interdiction, alternative livelihoods, demand-reduction and public awareness, we have maintained twenty poppy-free provinces and are committed to increasing that figure by next year. Meanwhile, it has become evident that a successful fight against narcotic drugs requires a comprehensive strategy with more focus on addressing the trafficking and consumption dimension of the narcotics problem. More needs to be done by transit and consuming countries to prevent trafficking of chemical precursors, and reduce demand in foreign markets. In this regard, we call for increased measures by member-states to implement Security Council resolution 1817 on combating deliveries of chemical precursors for drug production in Afghanistan. The production of illicit drugs is linked to the continuation of terrorist and extremist activity in Afghanistan and our region. The proceeds from narcotic drugs continue to be used as a main source of terrorist funding.Â Like terrorism, the narcotics problem is a threat to stability in our region and beyond. Therefore, given the interdependent link between terrorism and narcotics, these twin challenges must be addressed in tandem with one another . Aside from security implications, narcotic drugs pose a serious threat to the social fabric of Afghan society. Drug abuse in Afghanistan has increased substantially over the past years.Â Those affected include both youth and adults.Â As indicated in last yearâ€™s â€˜Drug Use in Afghanistan Survey,â€™ â€œ[e]asy access to cheap drugs and limited access to drug treatment, combined with three decades of war-related trauma have resulted in problem drug-use among almost one-million Afghans, roughly 8% of the population between 15-64 years old.â€ Moreover, according to the survey, more than 90% of drug users are in dire need of treatment.Â Currently, 40 structured drug-treatment centers are operational in 21 provinces. In this regard, we underscore the need for sustained international assistance in expanding quantity and quality of â€œdrug-treatment centersâ€ throughout the country. Afghanistan attaches special importance to effective regional cooperation for addressing the many challenges facing our region. These include terrorism, extremism, narcotic drugs, and organized crime. In this regard, we continue collaboration with regional countries for a viable solution to these problems. We are working to expand cooperation in various fields, including strengthening of relevant law-enforcement agencies, greater intelligence sharing on terrorist threats, and drawing effective mechanisms to curtail trafficking of chemical precursors and narcotic drugs. We continue to hold bilateral, trilateral, and quadrilateral consultations, and maintain our efforts through other mechanisms and forums, including the Shanghai Cooperation Organization (SCO), Organization for Security and Cooperation in Europe (OSCE), and South-Asian Association for Regional Cooperation (SAARC). Moreover, in the context of more effective border management, we underscore the need to expedite the recruitment and training of Afghan security forces, including Afghan border and customs police to render a more effective role in preventing the infiltration into Afghan territory of all forms of illegal activity. We are thankful to the international community, the UNODC in particular, for its continued support and commitment in addressing the challenges of security, narcotic drugs and organized crime, and achieving a stable and prosperous Afghanistan. Together we have come a long way, but much remains to be accomplished. Â We look forward to our continued partnership to finish the vision we began nine and a half-years ago. I thank you Mr. Chairman.